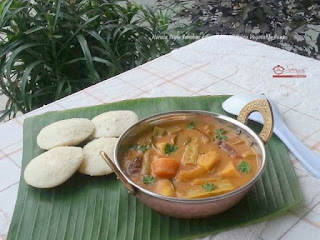 Avial, another weakness of Malayalees.. My last recipe was Sambar, so I thought of adding avail as the next post, because in both the recipes so many vegetables are there.. Both are like sisters for malayalees.. 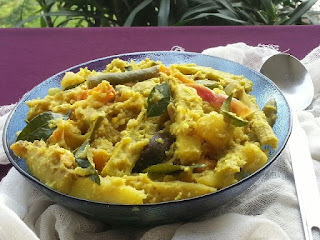 It is originated in Kerala and then spread to other Indian states especially South Indian states.